Felix Leiter is an agent with the CIA. Most of the time he is. When we think about him, it is in that capacity though life will throw him a very nasty curveball and he will be retired on full disability. That does not mean, though, he is out completely and will on occassion be called back for this job or that. We know very little about Leiter from the recorded adventures. We can read that he has "a mop of straw-coloured hair" that gave him a look far younger than his eyes would give. The impression is there that he is rather tall and lanky further making him appear almost coltish. The fact, however, that a seasoned hard-as-a-rock agent like James Bond would treat him as an equal and later as a very close friend show that Leiter, for all his youthful appearances, is a man who has been around the block more than once. 2. He will suffer a horrendous injury thanks to a villain's shark and not let it stop him. 3. He will be married a couple of times and help create a beautiful daughter named Cedar who would, when she became an agent with the Agency like her father, attract the roving eye of his best friend (rather unsporting of Bond, IMHO). 4. Shows that he is not only capable of working on his own but is also a team player, willing to take the second chair when needed. 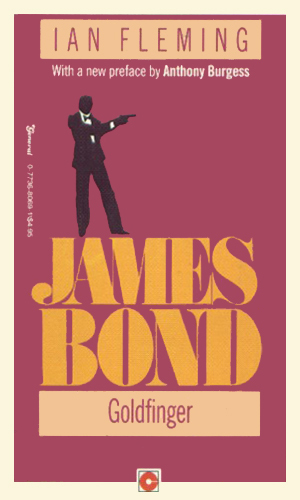 Naturally since Felix Leiter is first and foremost a compatriot of 007, for more information check out James Bond. There are several excellent websites with information about Felix Leiter since there are a gazillion about James Bond and Leiter is a recurring character in that guy's adventure. A good search engine will give you a lot of other places to look. 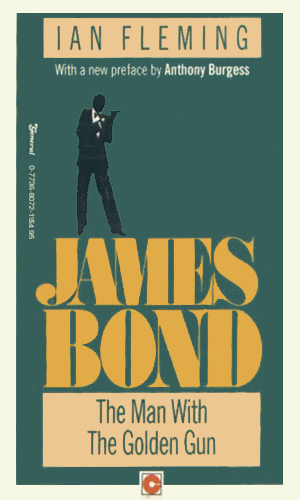 The books listed below are the original novels by Ian Fleming. In time, I will likely scan through the continuation novels by Gardner, Benson, and others for appearances by Leiter but for now just know that he does show up a time or three. 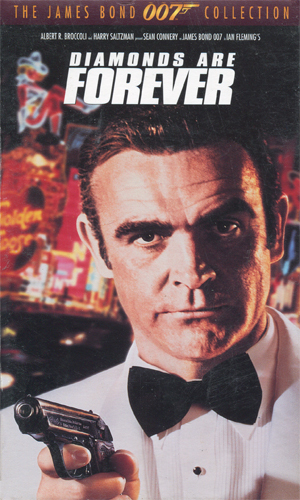 When James Bond has trouble going up against LeClerc in the casino, Felix Leiter with the CIA is there to lend some dollars and later save a life. Click James Bond for plot. In New Orleans working with Bond, Felix Leiter loses big time for the assist. Click James Bond for plot. No longer with the Agency, Felix Leiter is on hand as an agent with the Pinkerton Detective Agency to help James Bond. Click James Bond for plot. 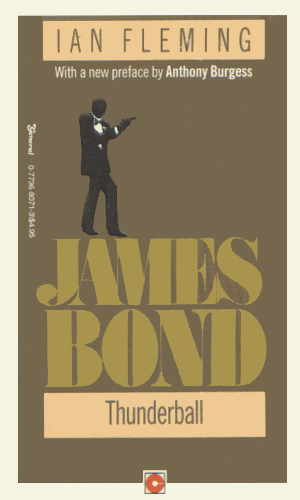 As Bond narrows in on what Goldfinger is planning, he needs the help of Felix Leiter, a reserve CIA agent, to stop the plot. Click James Bond for plot. The theft of two American nukes understandably interests the CIA. Click James Bond for plot. 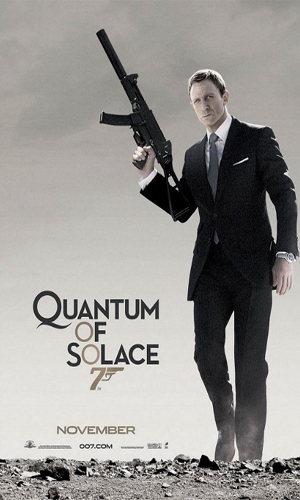 Even Bond needs help when going up against one of the world's best assassins. Click James Bond for plot. 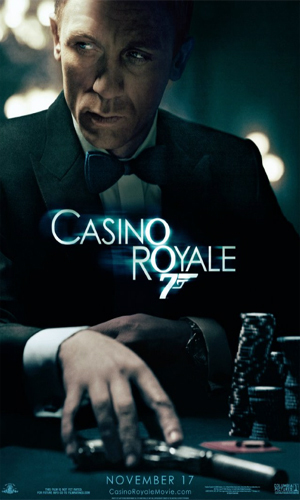 CIA agent James Bond must beat crime boss LeChiffre at Baccarat at the Casino Royale while keeping from being killed himself. This was a made-for-tv movie shown on Oct 21, 1954 as Season 1, Episode 3 of Climax! on CBS. 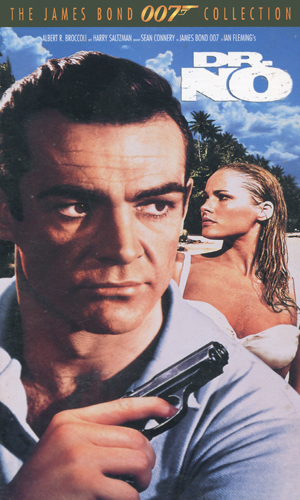 The diabolical Dr. No has taken a Caribbean island as his fortress where he is creating a very dangerous weapon on behalf of Spectre. 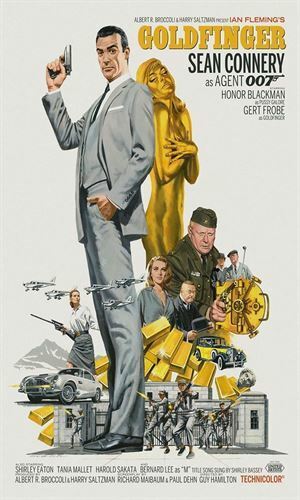 Goldfinger has a plan to irradiate all of the gold in Fort Knox, driving the worth of his own gold incredibly high. Two nuclear weapons are stolen by SPECTRE from a downed NATO bomber in the Caribbean. It is up to James Bond to locate them and get them back. 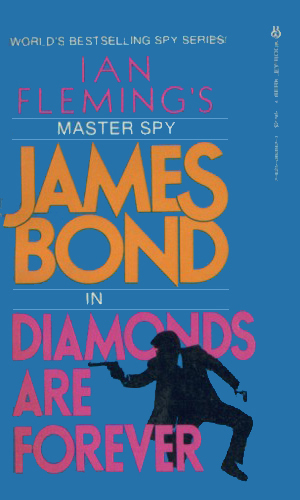 Diamond smuggling, threatening to destroy the trade and harm England's economy, brings James Bond to Las Vegas and again up against Ernst Blofeld. 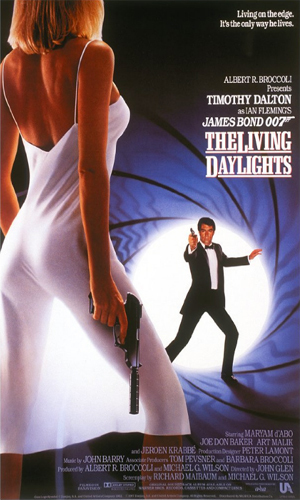 A dangerous heroin drug lord with a great plan for flooding the US with his goods is the target for James Bond. An American and a Soviet are trying to start another world war and James Bond must travel literally around the world to stop the two. 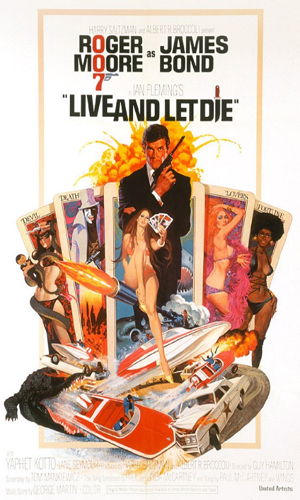 When a drug lord, angry at an old friend of Bond, kills the man's wife and tortures the man, James Bond vows to bring him down. 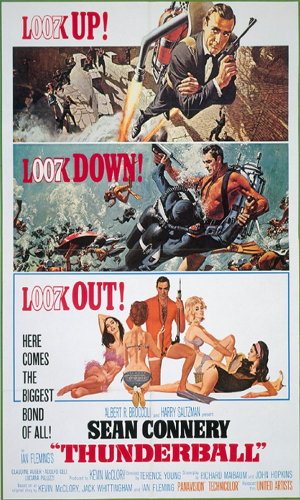 Newly chosen for the Double-O program, James Bond must stop an arms dealer by beating him at a high-stakes poker game at the Casino Royale but there is more than luck against him. 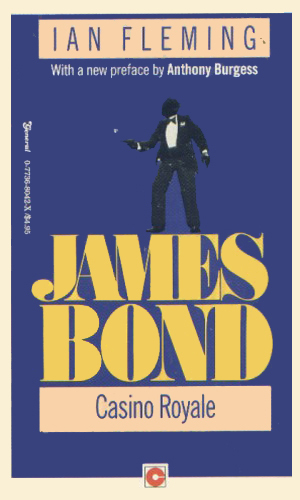 As he seeks a way to stop a shadowy group from destroying a country's main resource, James Bond is also looking for revenge against the people who killed his love. 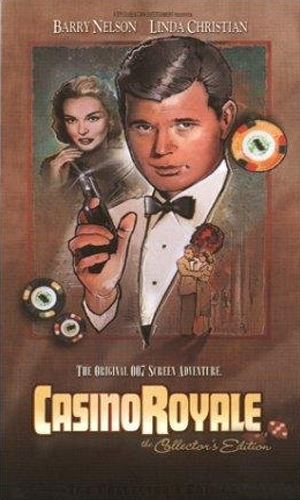 It is pretty obvious that since Felix Leiter was in six of the Ian Fleming original James Bond books, he would show up in any of those comic renditions. 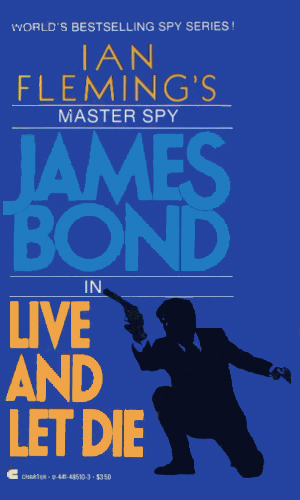 Go to James Bond for more information. His one solo adventure (to date) is below. 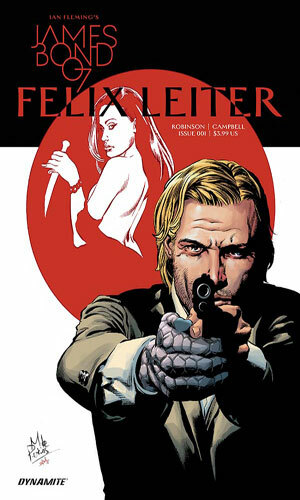 Felix Leiter #1 (01/11/2017) - Felix Leiter finds myself in Japan tracking down a beautiful Russian spy from his past. Felix Leiter #2 (02/08/2017) - The mission was suppose to be easy trailing a Russian Spy in Tokyo. Felix is unwittingly drawn into the investigation of a major terrorist attach. Now with Tiger Tanaka (the Japanese version of James Bond) he must find the leader of the terrorists. Felix Leiter #3 (03/15/2017) - In the aftermath of a Tokyo terrorist attach Felix Leiter must work with Tiger Tanaka and his elite operatives to bring down the cult's leader and discovering the secret of the deadly bio-weapon before another attach. Felix Leiter #4 (04/19/2017) - The investigation draws Leiter in deeper. I never give supporting character their own page because, well, they are supporters, not stars. That was certainly the case with Felix Leiter where I had a reference on the Character Index for him link to the James Bond page. And then the highly creative people at Dynamite Comics decided to have an off-shoot of their truly terrific Bond comic series devoted to Leiter and suddenly it felt right to give Agent Leiter his own page. Of course, except for that solo adventure in Japan, he remains a supporting character in literature and in the movie world but he is a very important one for without his help, the more famous Bond might not have lasted as long as he has. I gave this series a lower grade than I did Bond but that is appropriate for a co-star.